for the wrapper on the chocolates, the Spring Dies for the grass but I used the negative piece, the Valentine Dies for the heart and the Hey Chickie! for the sentiment. 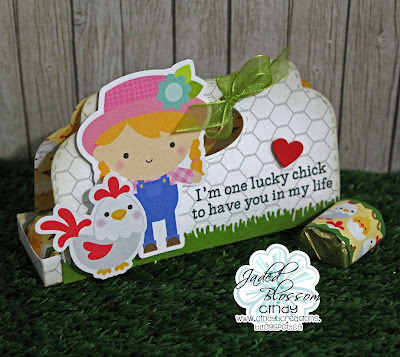 The paper and the cutouts of the girl and chick is from Doodlebug. Here is my second treat holder, this one is a Tag with candy's!!! 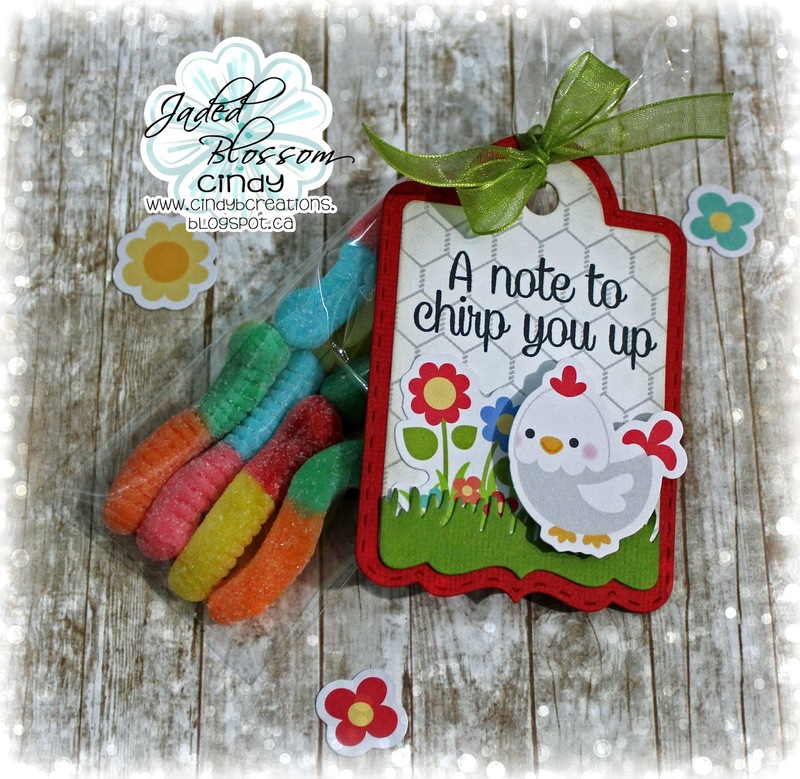 I used Jaded Blossom the Treat Tag Die for the tag, the Spring Dies for the grass but I used the negative piece, the Hey Chickie! for the sentiment, the 2.25 x 8 Inch Clear Bags for the bag and the paper and the cutouts of the girl and chick is from Doodlebug. Both are so SUPER cute!